Plans to appoint two independent members to the Football Association board have moved a step nearer after the FA Council approved the proposal. 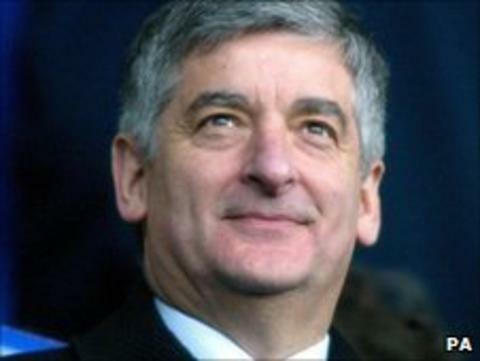 The 111-strong council backed the plans which were suggested as part of a reform programme by FA chairman David Bernstein. Bernstein said: "I am very pleased with this decision by the board and council. "It represents an important step in developing stronger governance within the FA." The FA board has also approved the plans, and the final decision on the proposal will be taken when the FA's shareholders convene for an extraordinary general meeting in August. The idea to bring in independent directors was first mooted in 2005 by Lord Burns' review of the organisation, but it only began to gain momentum when Bernstein was appointed earlier this year. There has also been significant pressure from the government for change within the FA, with sports minister Hugh Robertson branding football as "without a doubt, the worst governed sport in the country". Bernstein, who described the plans as "controversial" when he wrote to FA Council members in February, is now just one step away from being able to implement them. Robertson is confident the addition of independent board members will help improve the way football is run. He said: "I am delighted that the FA council and board have approved the principle of appointing two non-executive directors to the FA board. "I believe this will improve the governance of the organisation and I am pleased that the FA is looking at such positive and proactive moves ahead of the Select Committee report on football governance."